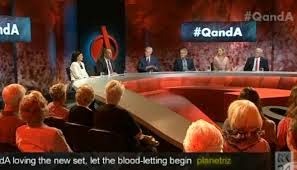 For years now, it has been obvious that the ABC, the Australian Broadcasting Corporation, has used the BBC as a model for its radio and television programmes. When television first started in Australia, the news reader had the required British BBC accent. As the years have moved on, the ABC has developed programmes using similar formats to those of the BBC. When ABCTV diversified, it became ABC 1, 2, 3 & 4, just like the BBC. 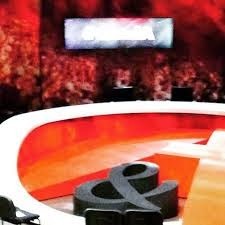 One show that followed a BBC format was Q&A - Questions and Answers. Here politicians and others form a panel that is asked questions by the audience. It is hosted by Tony Jones. The new Q&A for 2015 arrived this week, complete with a new logo and a new set. 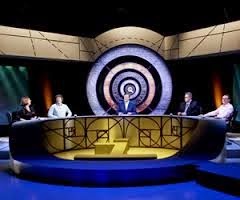 Surprisingly the set looks like a copy of that for the BBC Qi programme (Quite Interesting) hosted by Steven Fry. Does Australia still see itself as a colonial outpost, ever looking to the 'old country' for ideas? Surely not; but it still seems so at the ABC. 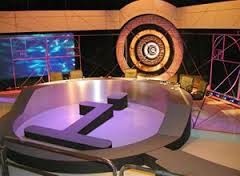 The new ABC set has the same circular Qi desk that dips at the front, with the letter in the centre. 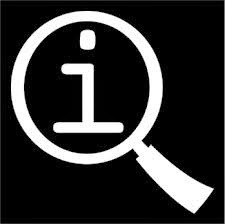 In the Qi set, the 'leg' of the Q becomes a magnifying glasss handle. 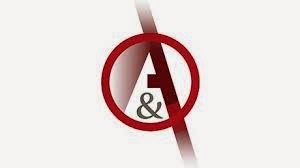 In the ABC set, the letter A is extended to give the same appearance. 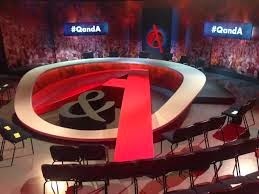 Has no one at the ABC any original ideas?